After a long day, the first thing I would want to do is kick off my shoes, get into comfy clothes, and pamper myself in some way to to re-energize. Sometimes I would do a quick facial before winding down for the rest of the day. 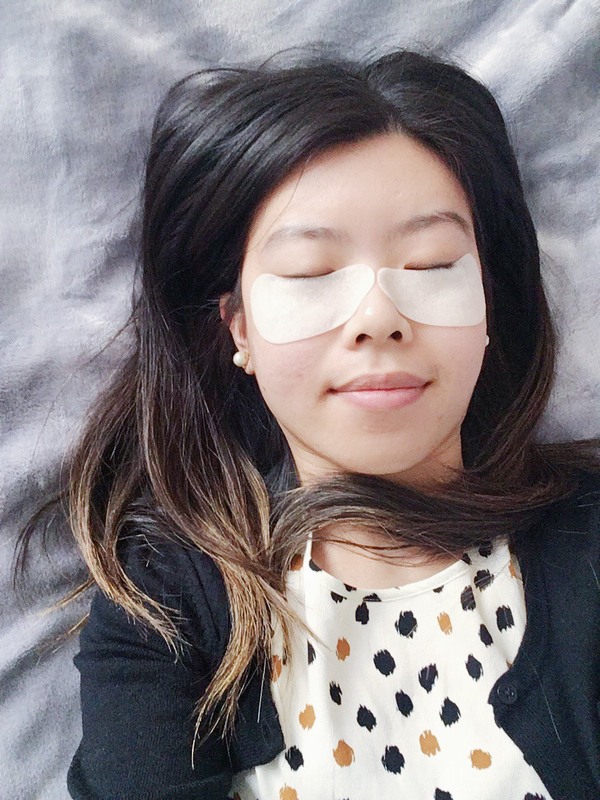 I thought I'd try this Bliss Triple Oxygen Instant Energizing Eye Mask* to give some life to my tired undereyes, which is usually the area that easily reveals my fatigue. 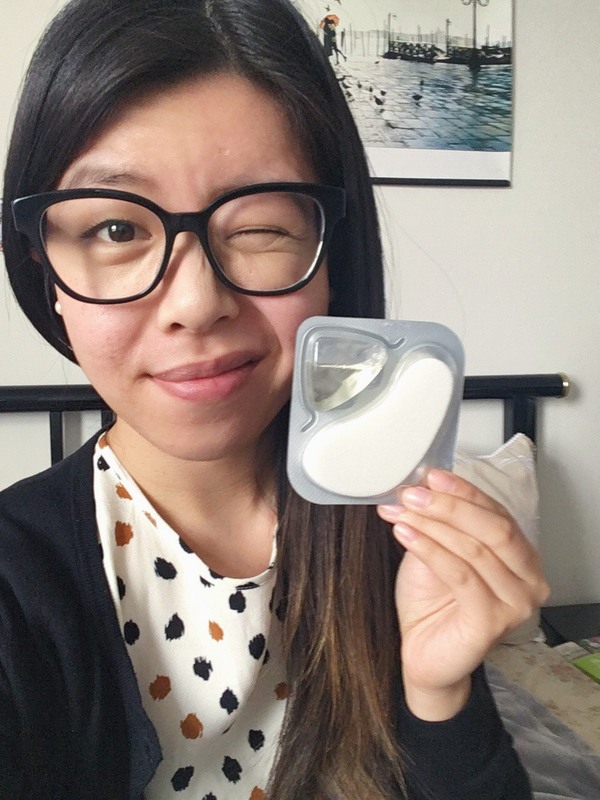 The eye mask is suppose to brighten, de-puff, and hydrate the undereyes. It's also meant to be used only once a week. 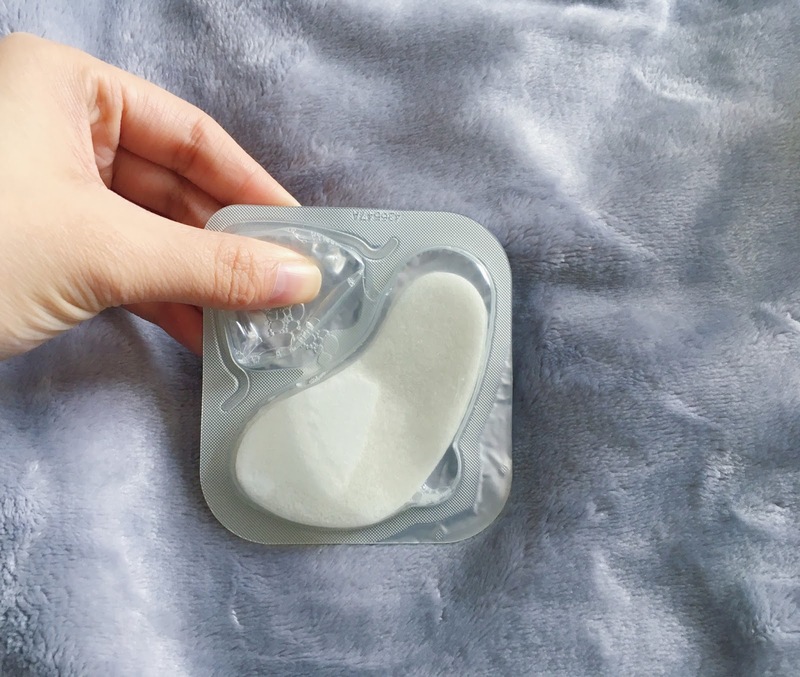 Packaging: The eye mask is stored in a dual chamber packet: the activating fluid is held in a separate compartment from the freeze-dried marine collagen masks. The method of storing the masks keeps the minerals are locked into the masks without using preservatives. Both chambers are air tight to ensure that both the liquid and masks are pure with minimal bacterial growth. To use it, you press down on the fluid chamber and it forces the fluid into the mask chamber. The masks begin to absorb the fluid and once they're saturated, you can peel away the foil and apply it under the eyes. Product: The marine collagen masks feel sponge-like so the masks have structure and easily absorb the fluid. The material itself is very soft and is cut into a generous size that can completely cover the undereyes. The fluid activates the minerals and nutrients in the marine collagen masks, which include: three forms of glow-inducing oxygen, antioxidant vitamin C, and de-puffing cucumber extract. I had the eye mask on for 15 minutes, as recommended on the box. One thing I noticed after a couple minutes of use was a slight burning sensation on my skin by the outer corner of my eyes. I didn't feel anything like that in the area right under the eyes though, but the sensation was slightly uncomfortable. Instead, I felt a pulling sensation under my eyes towards the end of the 15 minutes, as though my skin was being pulled taut. After the 15 minutes of wear, my undereyes were not puffy at all! That was probably achieved by the pulling sensation that I felt. The undereye area was also very smooth and had a nice, healthy glow. The mask did its task very well and it does exactly what it claims to do. Since I wasn't a fan of the burning sensation that I experienced and the pricetag that comes with it, I'm inclined to try other eye masks on the market first before going back to this one. Have you used an eye mask like this before? I'd love to hear your recommendation in the comments down below! *Products were sent as a PR sample for editorial consideration. My thoughts are my own and genuine.